Enterprises face more competition now than ever before. Innovative business models are disrupting the market, forcing even the largest organizations to radically transform the way they do business. Corporations need to innovate to stay ahead of the competition, and deliver new services to attract and retain new customers while keeping their costs as low as possible. 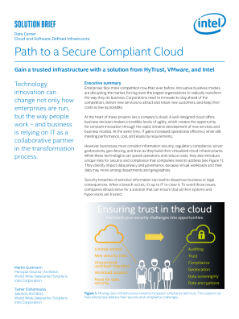 A trusted cloud solution from ...VMware, HyTrust and Intel could provide the answer.